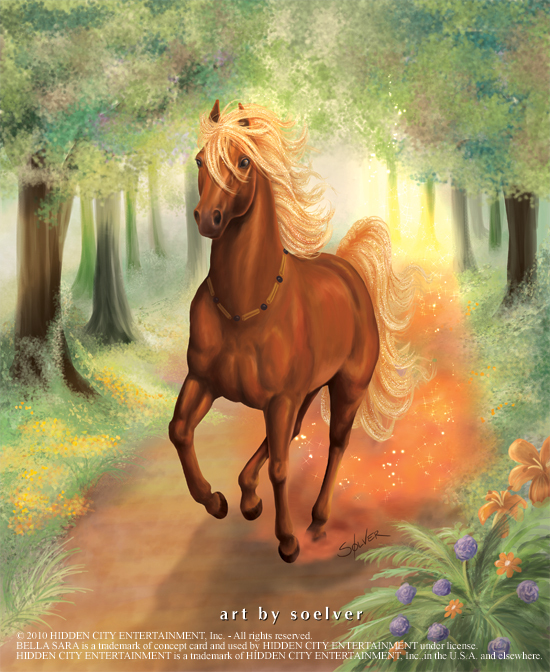 This is Cinnamon from the Bella Sara Sunflowers series, which was released in 2010. This is one of the few with a background, most of the drawings for this series, had backgrounds made of other artists. As I recall it, Cinnamon was a brand new horse, and Sunflowers was the first series it appeared in.